Elegant, traditional design details and distinctive finishing touches present a sense of uncommon luxury in the Weymouth collection. Distinctive accents include porcelain inlays that feature Euro-influenced decorative script and signature styling elements to make an extravagant statement in your traditional bath. This tub filler has a wall or floor mount option. The Glacier Bay Jordana Free-Standing Tub Filler Faucet in Polished Chrome features a decorative, modern style design with a showroom feel, that will compliment a variety of bath dicor. Its unique 2 cross handles meets ADA standards for ease of use in adjusting water temperature and volume. It also features a sleek single function handshower with a 60 inch stainless steel hose for your convenience. This stylish faucet will make for a great addition to an elegant master bath and free-standing tub. Featuring a distinctive keyhole-shaped lever handle pitched at the inviting angle of 7 degrees, the Eurostyle Cosmopolitan faucet offers a unique design proposal for the modern bathroom. Utilizing an astute mix of simple curves and flowing forms, the collection benefits from GROHE SilkMove for a lifetime of smooth operation Technology to ensure handling of your bathroom faucet is always smooth, precise and a comfortable experience even after years of daily use. 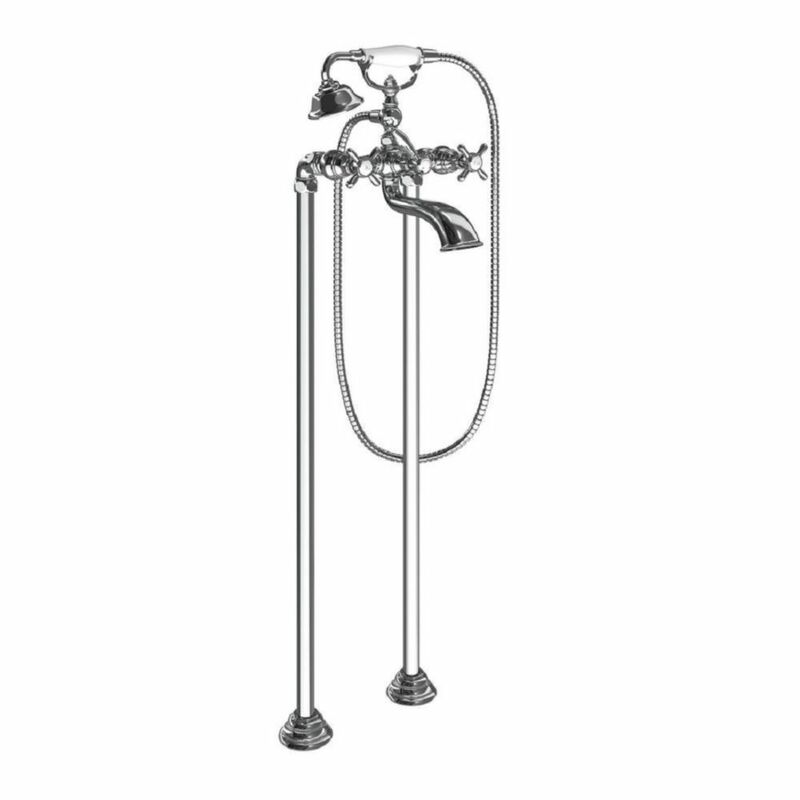 Weymouth 2-Handle Wall Mount Roman Tub Filler Trim Kit In Chrome (Valve Sold Separately) Elegant, traditional design details and distinctive finishing touches present a sense of uncommon luxury in the Weymouth collection. Distinctive accents include porcelain inlays that feature Euro-influenced decorative script and signature styling elements to make an extravagant statement in your traditional bath. This tub filler has a wall or floor mount option.